The three things I miss the most on a low carb diet are bread, pasta and rice. And sugar. And ice cream. Ok, I miss a lot. But when serving the Ropa Vieja, I knew I had to come up with a “rice” like dish. Ropa Vieja with a side of asparagus just, well, sounded so unappealing. So, I researched “rice” dishes. 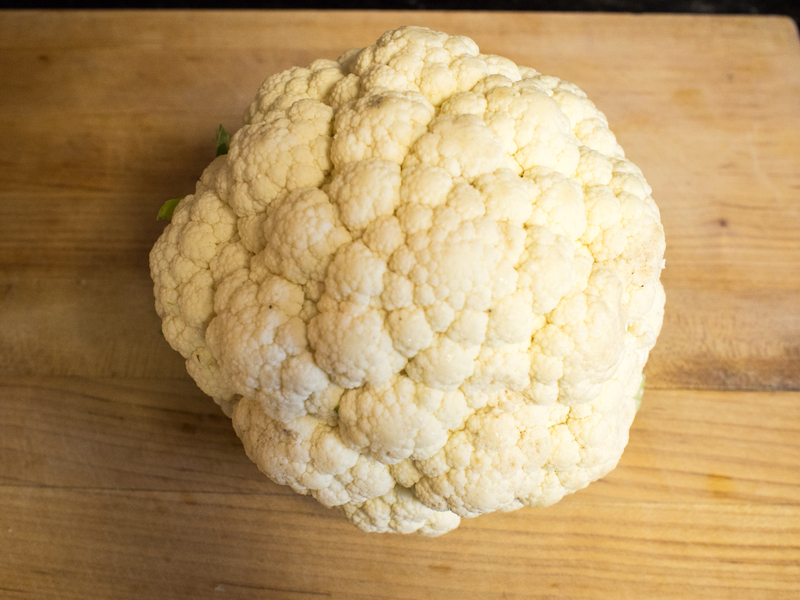 Cauliflower seems the go to vegetable for starch substitutes. And why not? It’s white, low glycemic, low carb and high fiber. It’s fairly neutral tasting, has some texture, and takes well to other flavors. 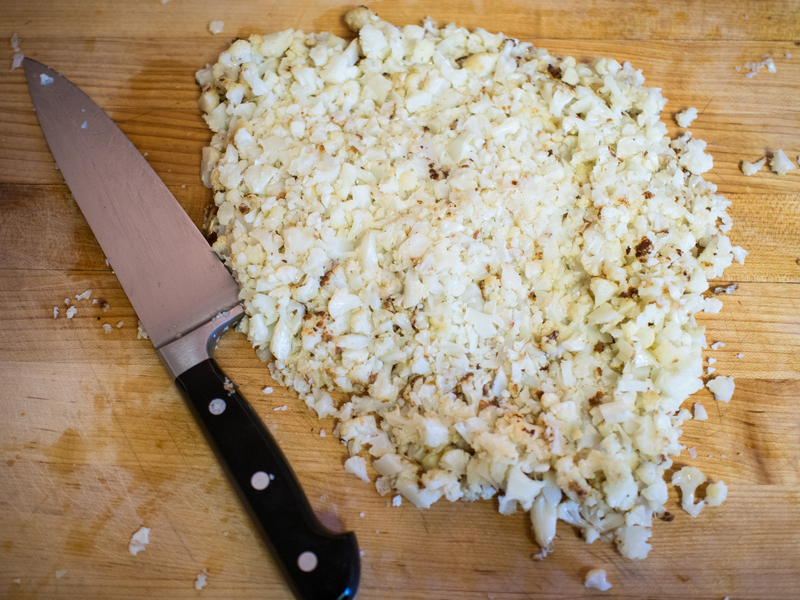 But when I saw recipes with directions that began with “grate the cauliflower”, I’m out. I’ll grate nutmeg and that’s about it. I have better things to do with my time than to grate a head of cauliflower. But the interesting part to me was that these recipes steamed the bits of cauliflower. Why is that interesting? 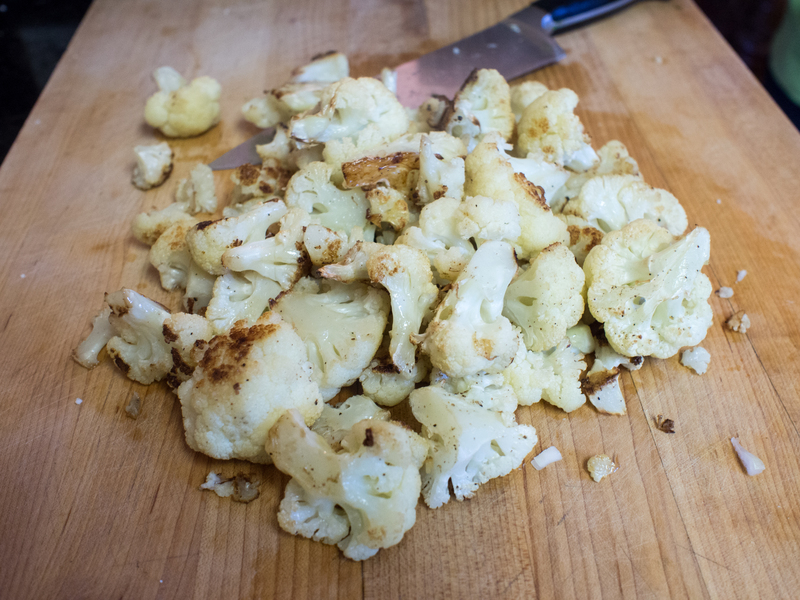 Well, there were lots of tips included in these recipes to dry the cauliflower bits out. So, the steaming made the vegetable to wet. Go figure. So, I roasted it. Why? Because if moisture is a problem, that’s a problem oven heat can fix. Two, there’s something very appealing about the slightly charred, nutty, roasted taste of vegetables. Three. You stick it in the oven, jostle the pan a bit during the cooking time, and the veggies are cooked. Just chop finely and you have “rice”. I’m all about simple and easy cooking methods. Put this dish in the rotation!! So, here you go. 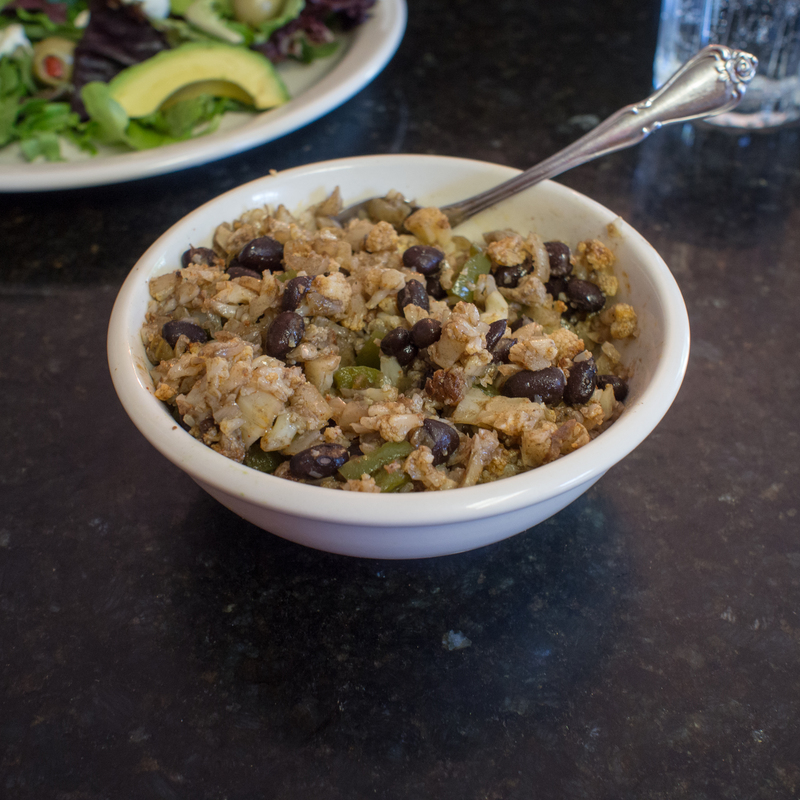 A lower carb version of Cuban Black Beans and Rice. Separate the florets from the stalk of the cauliflower. 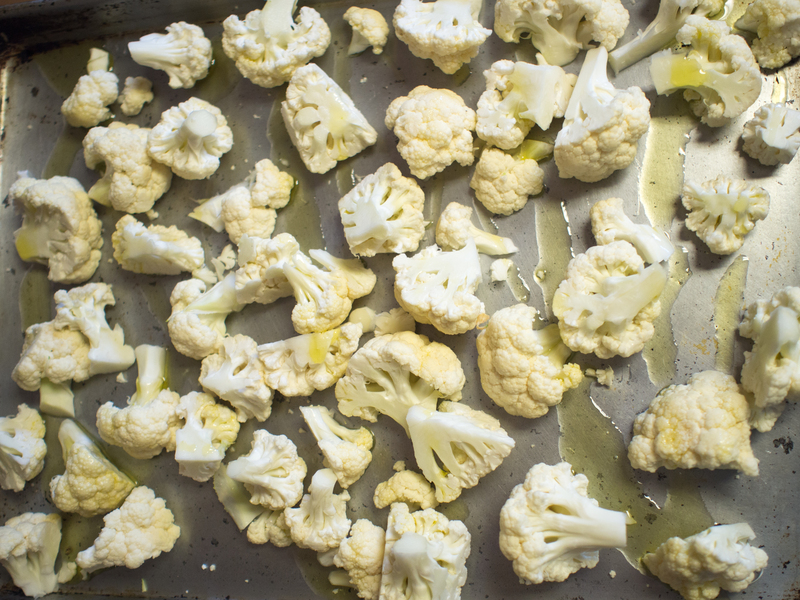 Place florets on a baking sheet and coat with oil, salt and pepper. Place sheet in oven. During roasting, flip florets occasionally to prevent over browning. Roast until florets are tender and slightly browned, about 20 minutes. Remove from oven, let cool slightly and when you can handle them, chop finely until the pieces are about the size of rice. Set aside. In a saute pan, heat the olive oil over medium heat. When heated, add the peppers and onion. When the onion is translucent, add the garlic. As the garlic softens, add the cumin and the paprika, stir well. 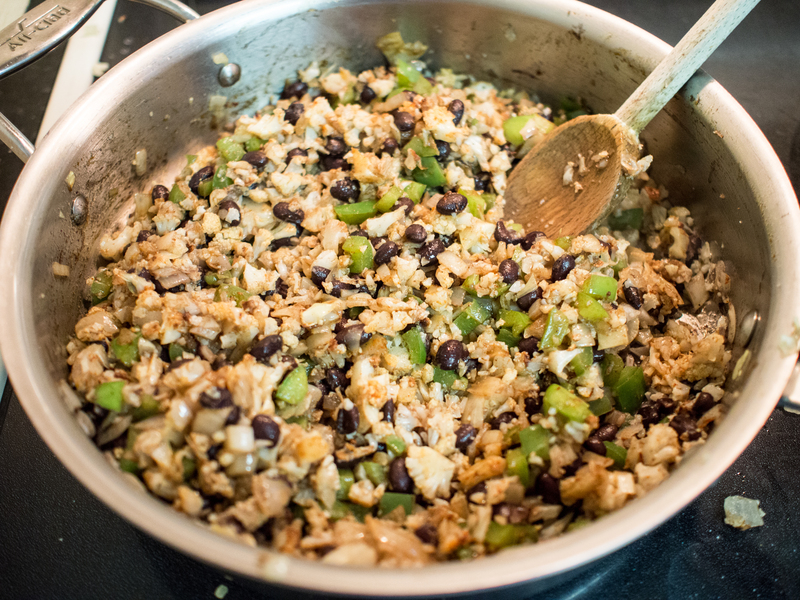 Add the black beans and the “rice”. Mix thoroughly. Taste the mixture, if the mixture is too dry, add the olive oil until the texture is appropriate. Season with salt and pepper as needed. 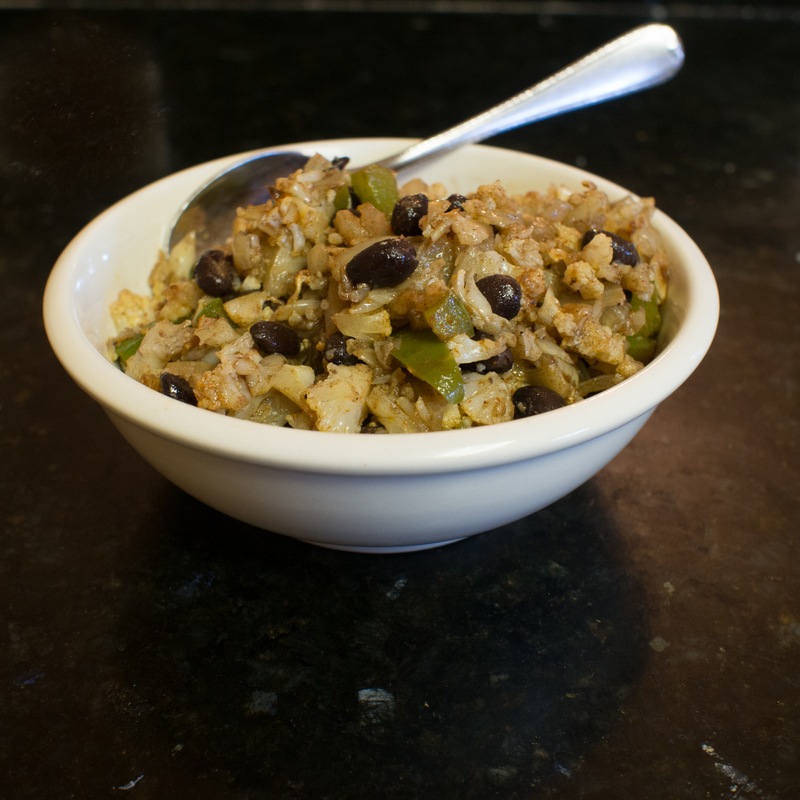 This entry was posted in Gluten Free, Low(er) Carb, Vegetable Side and tagged black beans, Black Beans and Rice, cauliflower, Cuban Black Beans and Rice, low carb rice on May 17, 2013 by dawn of food.